To begin, I honestly don’t remember anything from the first quarter of 2017. Gus was about three months old when the calendar year rolled over and all I remember is changing diapers, breast feeding, and being exhausted. My first real memory was our spring book tour to promote our how-to hiking book Families on Foot. The reason it stands out is because we learned that it’s much easier for families in the northeast to hike together than it is for them to attend presentations that begin at 7pm on a school night. My next recollection of 2017 combines two highlights. Brew finished recording his first music CD in Nashville on the same night that UNC won the national championship in men’s basketball. My husband called me at 1:30 in the morning, literally sobbing into the phone because he was so happy. In June, I got to travel to Germany with the crew to deliver the graduation address at Frankfurt International School. I saw some irony in their choosing me since the average eighteen-year-old German is more mature than most 30-something Americans I know. Other European highlights included visiting wonderful friends in Switzerland, discovering Malta, and having Gus yell out during a center court match at the French Open. In August, Brew hiked Maine’s 100-Mile Wilderness then came home to help me walk the 1,175-mile Mountains to Sea Trail. He spent exactly one full day camping, watching the kids, and shuttling me to and from the trail before we had to rush him to the emergency room. The doctor told us he had pericarditis, an inflammation of the tissue around the heart. I thought it was poetic that Brew’s heart was so full of love it was literally swelling in his chest; Brew had a different interpretation. He struggled to feel better - mentally and physically - for the remaining 1,150 miles of trail. It just goes to show that you can literally write the book on family hiking, but if your heart’s not in it (sorry, I couldn’t resist) it’s gonna be a difficult journey. I loved the Mountains-to-Sea Trail, but we don’t plan on tackling a similar family adventure for a long, long time. Instead we’ve decided to stick with our current plan of making our parents wonder if we’ll ever grow up and get real jobs. Brew’s going full-on musician, releasing his debut self-titled CD on January 30th. He’s gotten radio airplay as far away as New Hampshire and Wyoming and is lining up tour dates. Be sure to visit the calendar on his website (www.brewdavis.com) so you can come to one of his shows and pull on his pants leg mid-song or break into an interpretive dance and upstage him. That way he’ll feel like it’s just another basement rehearsal with Charley and Gus. 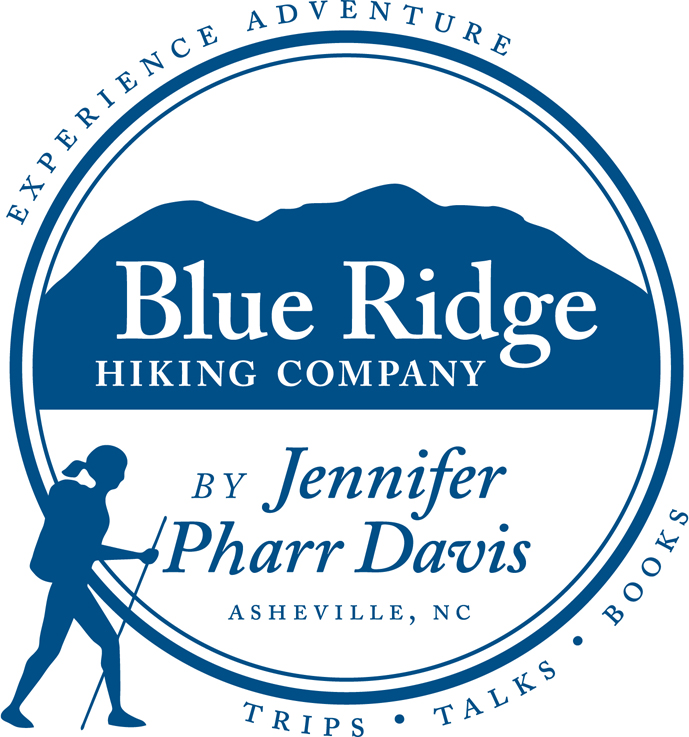 As for me, I’m noticing a definite trend in my business venture Blue Ridge Hiking Company: the less I’m involved in the day to day operations, the better the company performs. A big Thank You to our incredible team of guides for getting over 1,000 people on the trails around Asheville this year. When I wasn’t hiking or relying on someone else to run my company, I spent most of my time editing my new book, The Pursuit of Endurance. I’ve worked on it for the better part of two years and have never felt so invested in- or nervous about- my writing. I plan to celebrate the April 10th release by locking myself in the bathroom and never coming out. It’s hard to put yourself out there. It’s hard to have two kids under the age of five and embrace a quasi-nomadic lifestyle. It’s hard to keep chasing down dreams and adventures when conventional life appears so stable and comfortable. But we’re grateful for family and friends like you who encourage us to take risks and be ourselves, who share a meal or a bed with us, and who send us on our way stronger in the knowledge that we’re loved no matter what. You make it easier. You make it better. Thank you. With Love, Joy, and Peace.